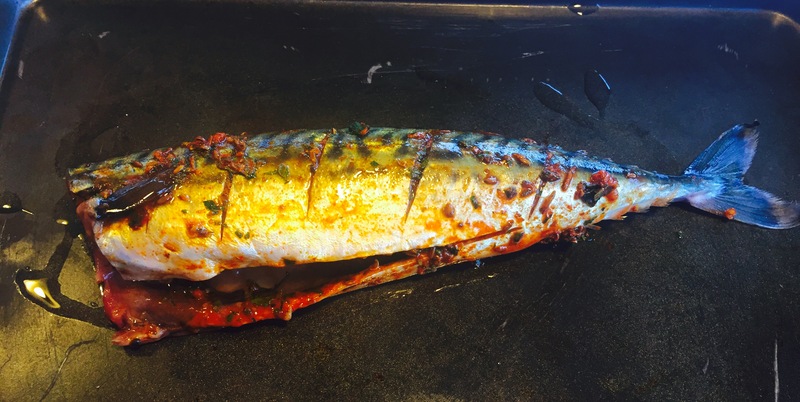 Middle Eastern Spiced Mackerel - June Fish Recipe of the Month. Mackerel for me is a summer fish and suits being eaten outside on long summer evenings with maybe a glass of chilled rose. This recipe used Middle Eastern Spices to cut through the oiliness of the fish and works perfectly on the barbecue. I wish we all ate more mackerel here in the UK. It’s one of the most sustainable fish we have, it’s cheap and as an oily fish it is so good for you. I’ve only been fishing once in my life – off the south west corner of Island. I was on the boat for an hour and managed to catch 36 mackerel. It’s like the wanted to be eaten (and I was happy to oblige). Mackerel for me will always be a summer fish. I think it needs strong flavours to cut through the oiliness and middle eastern spices do the job well. I like to serve this with maybe a simple salad of sliced tomatoes and red onion or as here with some fresh asparagus (well its only in season for a few more weeks so any excuse). The rub I make here for mackerel is actually very versatile. As you can see from the photo I couldn’t resist adding some prawns to the left over marinade and having those with it which was delicious and worked really well. I’ve also used this rub on other types of fish – it works well with thick slices of white fish like hake or haddock. It also goes very well with pork. I like to use cubes of leg of pork and make kebabs with them with some red peppers, red onion and maybe a courgette. Heat a frying pan over a medium heat, add the coriander seeds and toast for about 5 minutes until they shimmer slightly in the pan and start to smell fragrant. Tip into a pestle and mortar. Do the same with the cumin seeds although these will take much less time to toast. Add to the cumin seeds and crush together. Add the garlic and crush to make a paste and then add the paprika, chopped mint, lemon juice and oil. Mix together. This rub is enough for 2 fish. Place the fish on a baking tray and bake in the oven for 15-18 mins depending on the size of the fish. Alternatively you can grill the fish for approximately 5 minutes each side. This is also really good done on the barbecue. Just keep the fish quite high as mackerel is a very oily fish and can make the barbecue flame. Serve with lemon wedges for squeezing over. 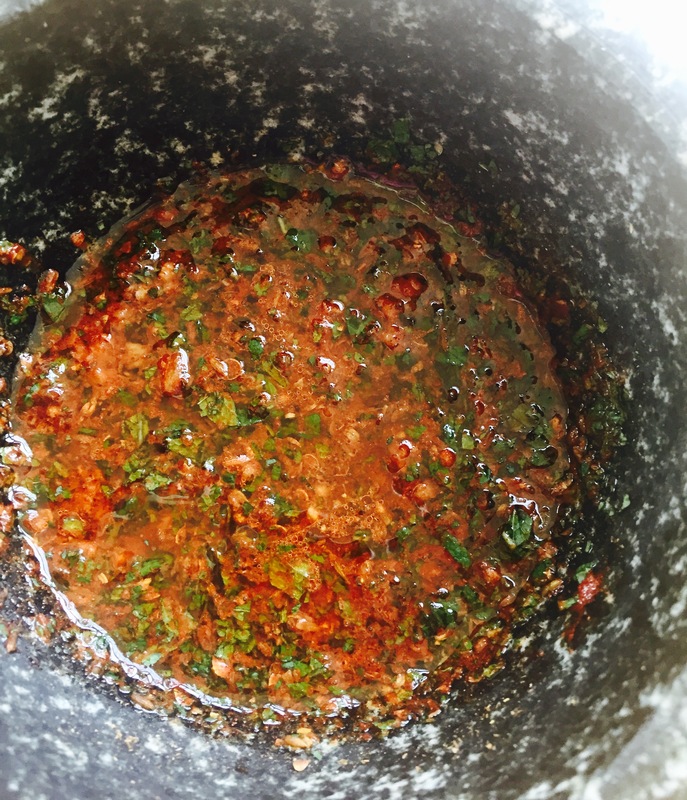 The rub is also really good with other times of fish and goes well with prawns. It’s also good with pork.